After my Indian visa got rejected for my Diwali trip (long story), there was only one thing for it… road trip and camping! Gave GoCampUAE a call to rental all the gear and headed out to the desert and await the Orionid meteor shower. The camping season is starting again in the UAE now the weather is cooling down a bit so why not get involved! We were 3 ladies and a wolf dog on this trip and our chosen spot was by Fossil Rock in Sharjah, officially called Jebel Maleihah, around one hour drive from Dubai. Fossil Rock is so-called due to the abundance of marine fossils that can be found on its slopes. 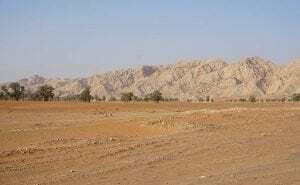 This area is rich with the fossils of shells and small sea creatures that were on the ocean floor millions of years ago when water covered much of Arabia. These were created when limestone formed around their shells to make a mould, which then solidified to leave a perfect imprint. 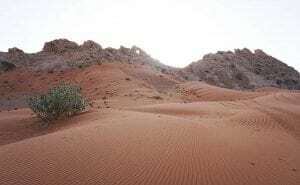 It seems Fossil Rock is a favourite spot for the local dune buggy and 4×4 drivers so you can expect the constant revving of engines to be heard in the distance, probably not the best camping location if you’re seeking a noise-free getaway from the city. It was nearly sunset so it we had to quickly unpack the car to get the tents up. GoCampUAE specialise in easy to pitch tents, this one took less than two minutes to pop up and put the sand pegs in which made me very happy, I’ll never take a tent with poles ever again. This is totally stress-free and we still had time to practice our archery skills with the bow and arrow. We built the fire to cook our mushrooms and Arabic pitta bread, simple but tasty. We laid back to patiently wait for the Orionid meteor shower, unfortunately the peak was the following night but we were lucky to see some flashes which are the rocky debris left behind by Halley’s Comet. The sky is always clearer in the desert away from the city, it is so calming to get lost in gazing at the various constellations. We woke up at the crack of dawn, there is something very magical seeing the desert at sunrise. One piece of advice I have for you, if you ever go camping with a wolf dog I recommend you take your shoes inside the tent as I guarantee they won’t be fit to wear again! The tent came down as quick as it went up which made packing up super easy. Driving through the desert to the main road, a large group of camels trotted towards us. The wolf dog had refused to get in the car and was running alongside the car, there was a nervous moment as they checked each other out. Bang, they got on like a house on fire! Glad he’d jumped in the car when we drove past the feral desert donkeys though! GoCampUAE is a camping equipment rental company, specialising in complete camping equipment packages to make camping a stress-free experience. 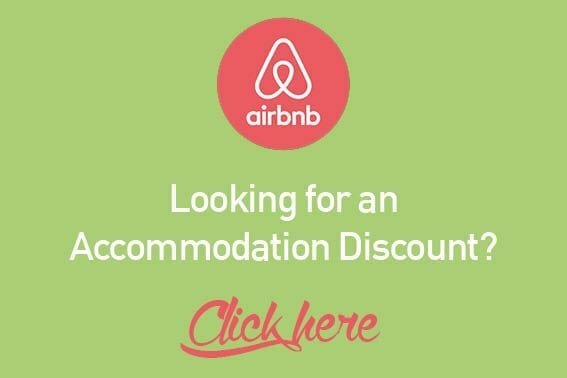 You can opt for a full all-inclusive package of everything from tent to marshmallows or just select individual items from the list which is what I did as I had some of the gear and it was delivered to my door. I travel a lot out of the region so it is not worth me buying all the gear for camping in the UAE and don’t have the storage in my Dubai apartment. For me, GoCampUAE is the perfect solution. Try them out on your next camping adventure! To find out more aboutGoCampUAE, email info@gocampuae.ae or call 055 313 3885. They’re on Facebook and Instagram too! Sounds like I need to visit UAE again pretty soon and for longer than a layover for a change! You’re always welcome, so many adventures to be had in the desert! Yeah I agree and India isn’t going anywhere. Camping in the desert is so much fun, very different to camping in the UK where I’m from, you’re never sure if the heavens will open or not! 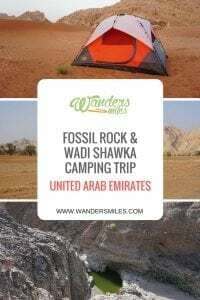 Hi Vanessa, I want to ask how far the fossil rock to wadi shawka? Hi there, it is around 30-40 minutes drive. Will you be camping?